By utilising this website you are agreeing to the following terms of business. For the clarification of doubt, references to 'we, 'us' or 'our' below relate to Lean Games Ltd, references to 'you' reference the puchaser of goods or services and the viewer of this website. The 'Website' is in reference to http://www.leangames.co.uk/. Any import taxes and duties are the responsibility of the customer. Order acceptance, and the completion of the contract between you and us will take place on the despatch of the products ordered by you, unless we have notified you that we do not accept your order or you have cancelled it prior. You not meeting the eligibility to order criteria set out in the Terms & Conditions, or as we may reasonably see fit to impose. If there are any problems with your order, you will be contacted by one of our Team. Each product purchased is sold subject to its Product Description. We will take every reasonable care to ensure that all details, descriptions and prices of products appearing on the Website are correct at the time when the relevant information was entered onto the system. Although we aim to keep the Website as up to date as possible, the information, including Product Descriptions, appearing on this Website at a particular time may not always reflect the position at the exact moment you place an order. All prices are exclusive of VAT at the current rates and are correct at the time of entering the information onto the system. The total cost of your order is the price of the products ordered, VAT if applicable, plus delivery and any additional optional charges which you have selected. refusing to process a transaction or suspending any transaction after processing has begun. Possess a valid credit or debit card issued by a bank acceptable to us or be able to pay by cheque or bank transfer. By making an offer to buy a product, you specifically authorise us to transmit information or to obtain information about you from third parties from time to time, including, but not limited to, your debit or credit card number or credit reports, to authenticate your identity, to validate your credit card, to obtain an initial credit card authorisation and to authorise individual purchase transactions. All deliveries are carried out by a professional independent delivery company. After consignments are dispatched, we will not be held responsible for any delays suffered by the delivery company. Any date specified for a delivery to take place is regarded as a preferred date and, while every effort is made to deliver consignments on preferred dates, this is not guaranteed by us or by any third party working on our behalf. Processing your orders; this includes passing your information to couriers for delivery of your order. The data is stored on our database, Sagepay and on our web host servers and is password protected. This data is stored indefinitely for reference but you may request its deletion by contacting us. You must notify us beforehand of your intention to return an item or items by telephone on +441984 678040 or via email at info@leangames.co.uk, and the reason for the return. You have the right to cancel your order within 7 working days from the day after the goods are received. Goods must be returned in the original condition in which they were received i.e. as new. Please ensure that you enclose your order number, name, address and contact telephone number with your goods and the reason for the return. We expect you to return the item at your own cost, but not withstanding this should you exercise your right to cancel as per the above paragraph, we will ensure we make a refund to you within 30 days of the date of cancellation. If we have not received the item, we reserve the right to deduct the cost of collecting the item before making a refund. You will be responsible for the item or items until they reach us. For your own protection we advise you to use a secure delivery service which requires a signature upon delivery. Where you are withdrawing from your purchase within the seven working days cooling-off period; unwanted goods will be refunded less postage charges paid provided they are returned unused and in the same condition as received. Any part use of a product will incur a deduction from the final refund amount. Refunds will be made to the original payment card or bank account within 30 days of receipt. We have taken great care to illustrate our products as clearly as possible. However, due to manufacturer changes to products, pictures shown may vary slightly from the actual product. We aim to despatch orders within 7 working days of receipt of an order. SHORTAGES / DAMAGES any damages or shortages must be reported WITHIN 48 HOURS OF DELIVERY, no claims will be entertained after this time. IMPORTANT - All deliveries need to be signed for. If there is no-one available to sign, then a card will be left by the courier, a second attempt will be made on the next working day. If there is still no-one available the consignment will be held at the courier's depot for 3 days. If you do not contact the courier to arrange collection the consignment will be returned to us and you will be liable for the additional delivery charges and also for the cost of re-shipping the item(s). Lean Games Ltd are committed to the protection of the environment and therefore the successful implementation of the WEEE regulations. 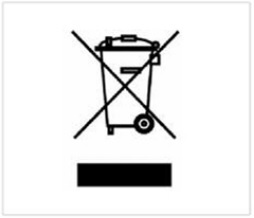 Where the WEEE does not bear the crossed out wheelie bin symbol, users are required to meet the costs of collection, treatment and disposal themselves. There is no financial obligation on either ourselves at Lean Games Ltd or our distributors in respect of this. A charge may be made where WEEE of our supply bearing the crossed out wheelie bin symbol is being returned to Lean Games Ltd. If you are a business customer of Lean Games Ltd who sells on to private customers you will have the obligation, as a distributor, under the B2C side of the regulations to arrange the movement of WEEE returned to you, to recycling centers. If you are a business customer of Lean Games Ltd who only sells on to other businesses you have no obligation under the WEEE regulations to take back WEEE (unless you are also a UK WEEE producer) but your business customers may well ask you about disposal routes for like for like take back and end of life returns. Customers outside the United Kingdom should contact their supplier for further information on the arrangements in place for their own country. Should you have any further queries about WEEE, please email info@leangames.co.uk. These terms and conditions shall be governed by English Law and the parties submit to the exclusive jurisdiction of the Courts of England.